Albert the Alien – Nominated for a Harvey! 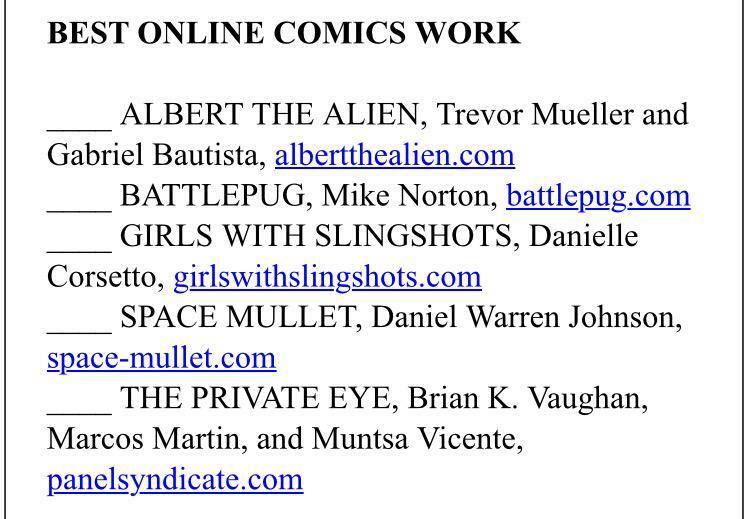 Albert the Alien has been nominated for a Harvey Award for BEST ONLINE COMIC! Check it out! This is such an extreme honor. There’s so much top-tier talent among these nominees, and it’s very humbling to be included on this list. Only industry professionals can vote for the Harveys (includes webcomic creators), so please vote for Albert the Alien and let’s bring home a win! Final ballots are due August 31!